Garrett and Carson are on the hunt for a good Predator movie. The Predator is a mess — plain and simple. It is bloated, unfocused, hastily assembled, and at the end of its runtime proves itself to be a wholly unnecessary movie. Arguably worse, it manages to degrade the Predator brand which was already in a state of freefall. 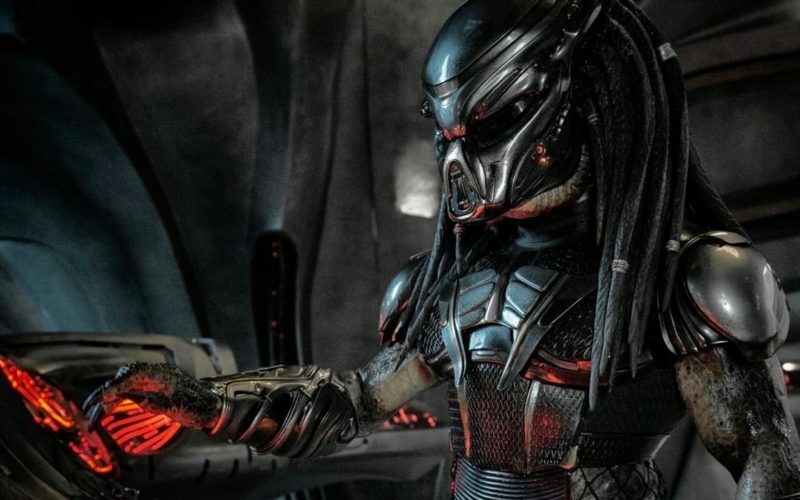 The quasi-return of Shane Black to the franchise held a certain appeal to fans who hoped that someone tied to the original Predator’s greatness would bring a long-lost respect to the franchise and recapture some of that good old 80’s action movie magic. And perhaps a recognition that what made Predator (1987) great was its small-scale tale of man vs. alien and hunter vs. hunted. It’s clear now that Black had other ideas in mind. A LOT of ideas. And every last one of them is crammed into this movie. Instead of a back-to-basics approach, The Predator tries instead to expand its mythos as wide as possible with super Predators, rogue Predators, Preda-dogs and much, much more. In the process, Black alternates between giving no explanation and giving unnecessary explanations through characters who somehow know or figure out everything there is to know about Predators. The latter of which seems to be the only reason Olivia Munn and Sterling K. Brown’s characters exist. Everything in this movie is dialed WAY up. The ragtag group of mercs our heroes emerge from harkens back to the original Carl Weathers & Jesse Ventura group, but every one of them is given some sort of tic that is supposed to make them even more interesting or funny. Little quips are replaced with a barrage of one-liners and jokes that are tonally all over the place. It’s almost as if Black expected the comedy to be a close second to the action instead of a subtle companion. And even the action is ratcheted up. But instead of an uptick in violence, terror, and gunfights, we’re given more spaceships, technology, and questionable CGI. The old adage of bigger not always being better fits The Predator like a glove. The Predator is the annoying bro at the party who talks over everyone else, screams his stories loudly all night, and tells vulgar jokes that only he laughs at (hysterically). Go ahead and put The Predator on the pile of failed attempts to reinvigorate a once proud sci-fi franchise. It will be the perfect complement in a bad movie tripleheader along with Terminator: Genisys and Alien: Covenant. The downward trajectory of these franchises can’t even be buoyed by saviors from the past — be it Shane Black or Ridley Scott. It’s officially time for these franchises to go into hibernation for a VERY long time. I came into The Predator with unrealistic and unwarranted expectations. I have been longing for a Predator movie that rivals the original, which is something that hasn’t been achieved in 4 movies over 30 years. I thought for sure that writer/director Shane Black would breathe new life into the franchise with his clever dialog and character building that we have seen him do many times before. Instead, The Predator left me questioning if I ever even liked Shane Black… or Predators… or movies. There is nothing new in The Predator. Every single character has a predictable and stereotypical story to tell. If you have ever seen an action movie before, you are able to determine everyone’s role and their fate from the instant they are introduced. The script is so unbelievably generic that the only brainwave activity you experience is trying to comprehend how this got made. Even the new threats that are introduced are basic and uninspired. More often than not they are downright boring to watch. It is a shame that such an awesome concept about creatures who cross the galaxy simply to hunt other lifeforms is wasted time and time again.